Hello everyone, in advance of next week’s meeting I thought I would post two picture udpates to keep everyone in the loop about what we’ve been up to. 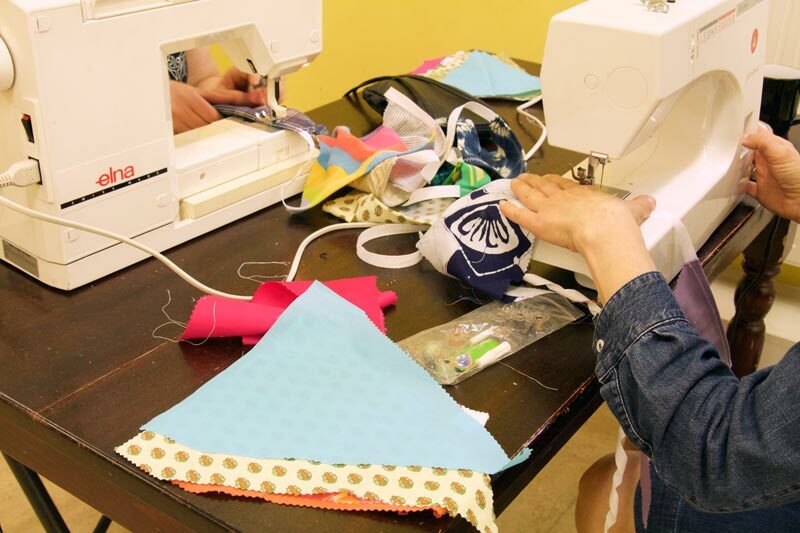 Last Sunday saw a group of us, plus some kind helpers from the community, take over the hall at St. Peter’s Crypt for a marathon bunting making session. 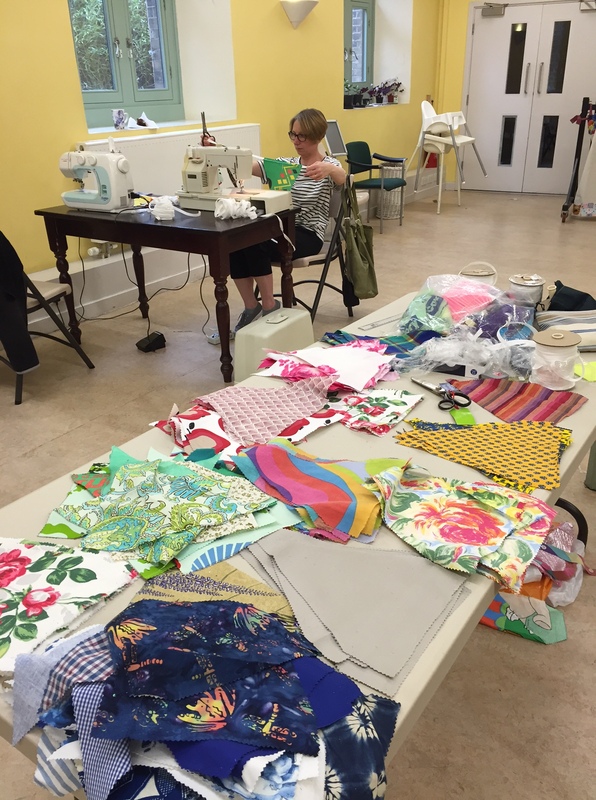 We had a massive amount of fabric donated so a big thank you to everyone who gave their unwanted material – we have enough now for many sewing projects to come. Here are a few pics including a very serious one of me taken by Victoria! 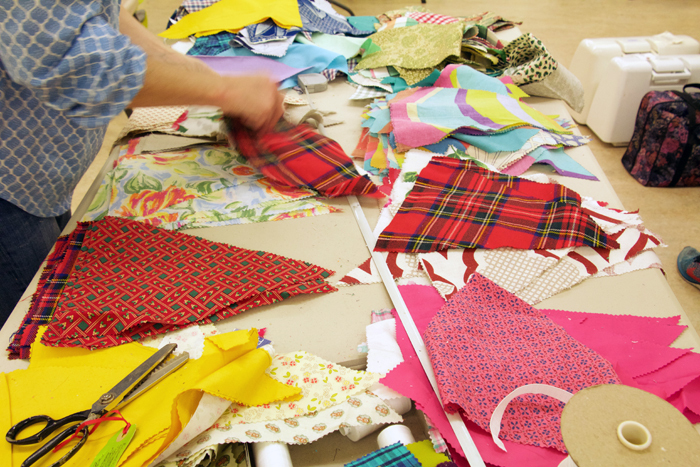 You will have to wait until Party in the Park to see the bunting in all its glory. 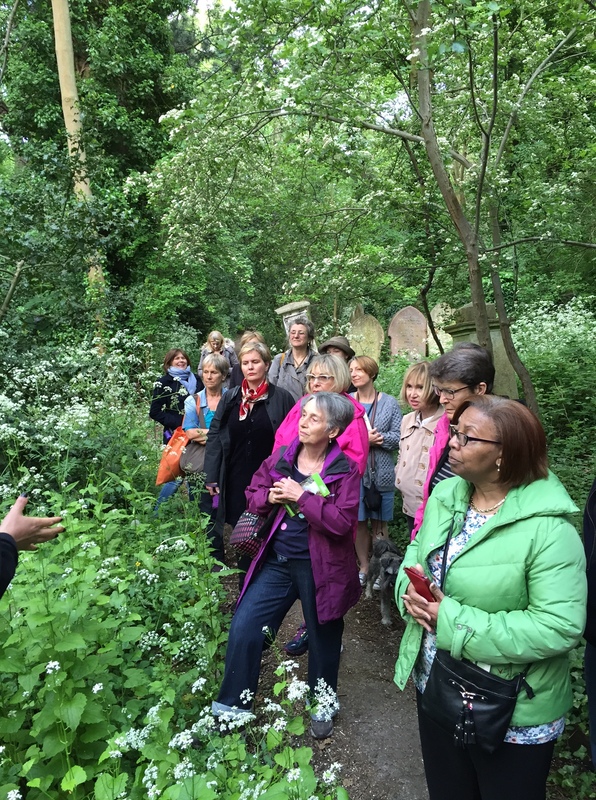 Monday night saw a group of us wrapped up warm (well except for me) meeting at the gates of Abney Park Cemetery for a tour of this wonderful and wild corner of Hackney. 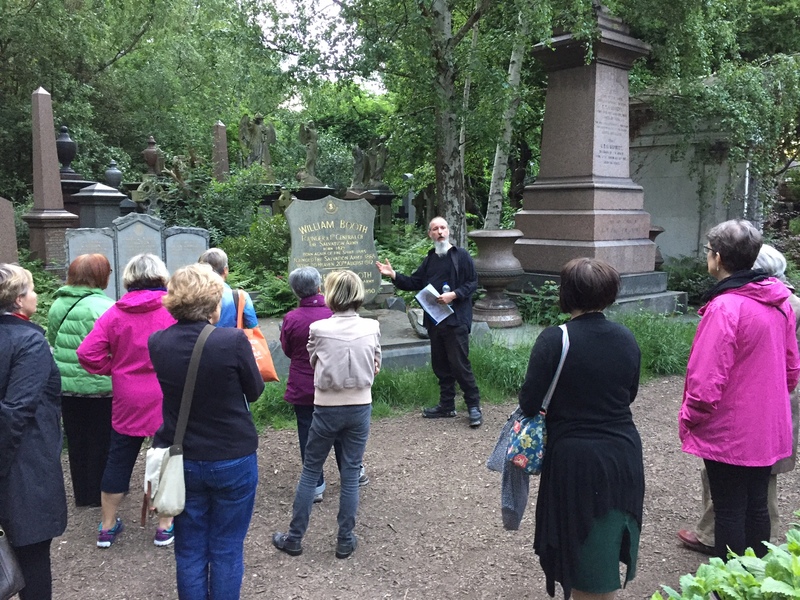 We spent a really interesting couple of hours exploring the history of Victorian Hackney through the story of the cemetery and the people buried there. It was fascinating, beautiful and just a little bit spooky. A huge thank you to Justina for organising the event. Please visit, support this haven for wildlife, take part in a course, a tour or one of their upcoming events – full details on their website. See you all next week to learn about aromatherapy.